These two ideas are the motivation behind Swedish Climeon, a company founded in 2011. Climeon produces heat power systems that convert waste heat and geothermal heat into clean electricity. Climeon’s heat power module is designed to capture the low-temperature waste heat of plants and ships as well as the renewable geothermal heat generated and stored in the earth. The module’s technology allows the conversion to be more efficient and more profitable than ever before. The company has three approved patents and seven patents pending. The company really has succeeded in finding the best partners. Already in 2016, Sir Richard Branson saw the potential of using the exhaust gases, engine cooling water, and excess steam generated by ships to produce clean electricity – especially considering the compact size of the Climeon system. Virgin Voyages was one of the most important clients Climeon could have, opening doors and enabling the company to develop. 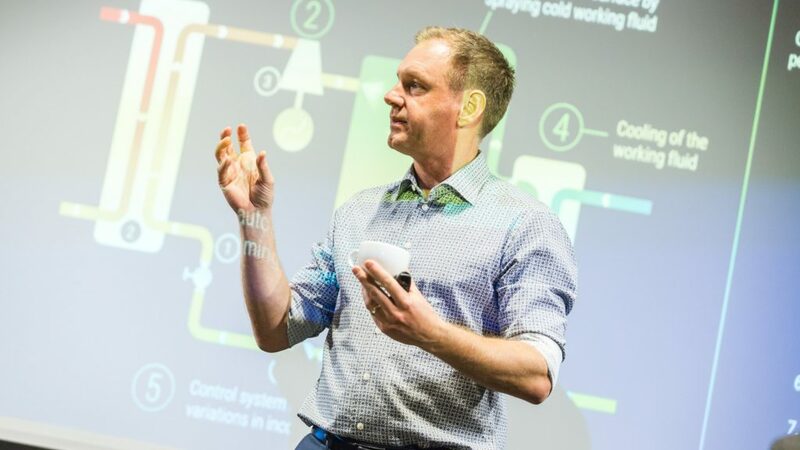 In 2019, Climeon collaborated with Breakthrough Energy Ventures, a global group of investors such as Bill Gates, Mark Zuckerberg and Jeff Bezos, as the group invested in Baseload Capital, the private investment company which Climeon owns part of, to speed up the global deployment of low-temperature geothermal heat power. Only one year earlier the company had decided that despite having good suppliers in Sweden, they were in need of a partner with technical know-how and ability to scale. Inquiries in the company’s network suggested that Arnon could help Climeon on its path. The companies also share a passion for sustainability, and that is elementary for Climeon in choosing partners.